We are delighted to announce something we’ve been VERY excited about for quite some time now! The Edge: Retreat is taking place in February 2019, in the picturesque setting of Avon Ri, Blessington, Co. Wicklow. Our goal for this weekend training retreat is to offer the perfect blend of challenging training sessions, mindfulness yoga and tailored nutrition. At The Edge: Clontarf we have always applied a 3 pronged approach to health and fitness – Training, Nutrition and Lifestyle. This retreat will help reset our clients’ general approach to their own lifestyle choices. We are looking to equip them with the necessary tools and awareness to take away to help them in their everyday life. We believe that change is all a matter of mindset and inspiration. And sometimes, you have to take a little well-deserved ‘me-time’ to do just that. Where: Avon Ri. 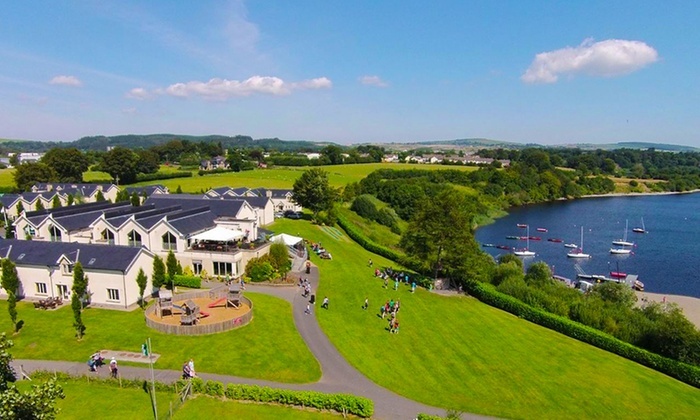 Situated against the beautiful backdrop of the Wicklow mountains, Avon Rí Lakeshore Resort is a unique escape for those in search of rest and relaxation, fresh air and outdoor activity. An exceptional venue in a truly unique location. Avon Ri is a 4 star luxury resort. Retreaters will be in shared accommodation. This is a town house style property, capable of sleeping up to 6 people. Do I need to be a client of The Edge: Clontarf? The Edge: Clontarf clients will be given preference to first available slots, but if all places are not filled we will be opening it up to non-clients. Do I need to be a certain standard of fitness? The training sessions will be suitable for all levels of fitness. All we ask is that everybody who attends pushes themselves as much as they possibly can. What are arrival/check in and departure times? You can check in on Friday anytime after 3pm. We will have a a team talk and some food at 6.30pm followed by our first training session. Check out is 11am on the Sunday morning. To secure your place on The Edge: Retreat, simply contact your trainer or any staff member at The Edge: Clontarf with a deposit of €50. Call 018534091 for further details. If you’re interested in kick-starting your year after the January motivation dwindles and have a passion for feeling good and challenging yourself, then this is for you. This retreat is a no-alcohol and no- smoking retreat and is focused on group-wide health and well-being, open to both men and women over 18 years of age. If you’re looking for a health or fitness retreat in Dublin or Wicklow, why not treat yourself or someone special to The Edge: Retreat?